ISO 14001 specifies the requirements for an environmental management system that an organization can use to enhance its environmental performance. ISO 14001 is intended for use by an organization seeking to manage its environmental responsibilities in a systematic manner that contributes to the environmental pillar of sustainability. ISO 14001 is applicable to any organization, regardless of size, type and nature, and applies to the environmental aspects of its activities, products and services that the organization determines it can either control or influence considering a life cycle perspective. ISO 14001 does not state specific environmental performance criteria. 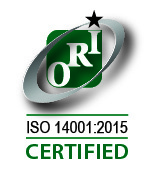 ISO 14001 can be used in whole or in part to systematically improve environmental management.